Founded in 1991 with headquarters at New Delhi India under parent company Tailwinds Limited, JetLite India is India's low cost budget airline controlled by Jet Airways. Formerly known as Air Sahara, the airline operates with a fleet size of 21 aircraft serving 28 cities across India, Nepal and Sri Lanka. 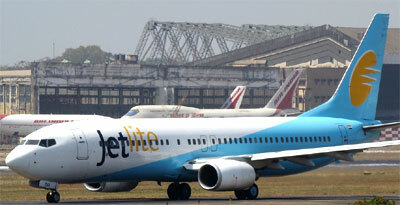 JetLite operates its flight services from its main hub at Indira Gandhi International Airport as well as from other hubs at Chhatrapati Shivaji International Airport as well as Rajiv Gandhi International Airport. JetLite's frequent flyer program is known as Jet Privilege.